Fall Festivals & Events HERE. 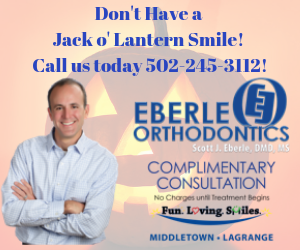 9/29: Jack O Lantern Workshop at Cailin Art Studio in Crestwood, for ages 5-11, 11am-1pm. Fee per person. 10/6: FREE! LaGrange Fire Safety & Halloween Festival at the Oldham County Fairgrounds in LaGrange. $5 charge to park at the Fairgrounds. 4-7pm rain or shine. 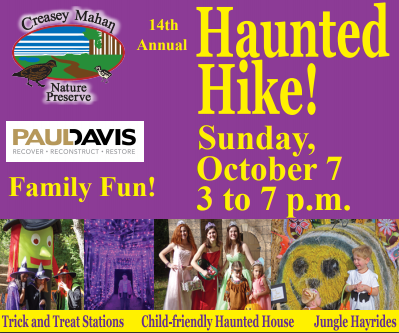 10/7: The Haunted Hike at Creasey Mahan Nature Preserve in Goshen 3-7pm. 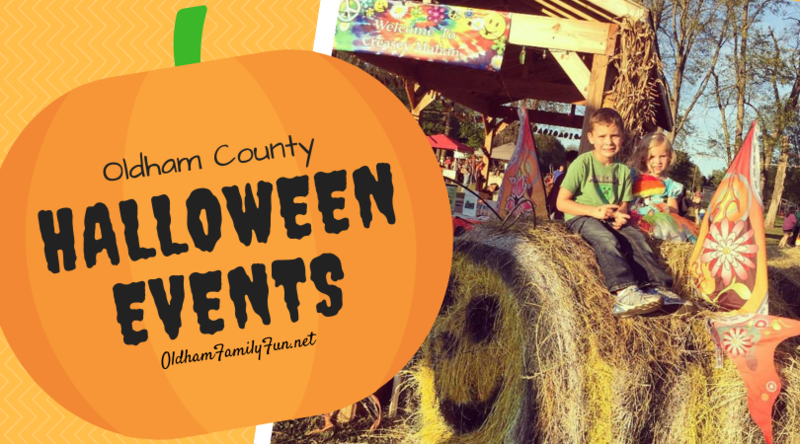 Kid-friendly fantasy trail with treat stations, hay ride, inflatables, haunted house and more! (Rain date 10/13) $7 general admission, children 2 and under are free. Inflatable zone is $5. 10/20: FREE! Movie in the Park at Central Park in Pewee Valley. 6:45-7:15pm decorate a treat bag. 7:15-7:30pm Trick or Treat for goodies. 7:30pm watch Halloweentown. 10/20-21: FREE! Various Halloween Events at Cabela's in Louisville (close to Oldham County line). See schedule for times. 10/26-31: FREE! Various Halloween Events at Cabela's in Louisville (close to Oldham County line). See schedule for times. 10/27: FREE! LaGrange Halloween Mainia. Trick or treat 11-3pm, costume contest at 1pm. 10/27: Customer Appreciation Day & Pumpkin Painting at Reardon's Fruit Market & Garden Center in Crestwood, 11am-2pm. Free pumpkin painting with a pumpkin purchase. Free food and drinks. 10/27: Boo Dell at Yew Dell Botanical Gardens in Crestwood 11am-3pm. Treats until 2pm, magic show at 2-3pm. $9 admission for adults, $5 admission for children 6-17, Free for children 5 and under. Facebook event here. 10/28: FREE! Crestwood United Methodist Church Harvestival Trunk or Treat. Chili dinner at 5pm, followed by Trunk or Treat 6-7:30pm.